ANDERSON, SAMUEL, royal engineer, boundary surveyor, and map-maker; b. 15 Nov. 1839 in London, England, son of Samuel Anderson; m. 10 Aug. 1876 Louisa Dorothea Brown; d. 11 Sept. 1881 at Bonnyrigg (Lothian), Scotland. Samuel Anderson Sr, a writer to the signet, was registrar of affidavits at the Court of Chancery in London. There young “Sam” went to school, later going to St Andrews University and the Edinburgh Military Academy. He entered the Royal Military Academy at Woolwich (now part of London) on 11 Aug. 1857 in the first batch of cadets selected by competition. He won the sword for “exemplary conduct” and received a commission as lieutenant in the Royal Engineers on 21 Dec. 1858. 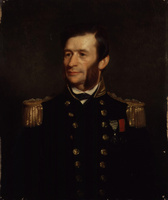 After a few months’ service in England, Anderson was appointed to the staff of the boundary commission established under the Oregon Treaty of 15 June 1846 to survey and mark the 49th parallel from the Gulf of Georgia (Strait of Georgia) to the crest of the Rocky Mountains. The American party, under Archibald Campbell, had been at work since 1857 and the British land party, under Colonel John Summerfield Hawkins, re, since July 1858. After intensive instruction in astronomy at the Ordnance Survey Office in Southampton, Anderson left England for Victoria, Vancouver Island, where he arrived on 2 Dec. 1859. He went inland at once to join the secretary of the British commission, Lieutenant Charles William Wilson, re, who became a lifelong friend. Two years of zestful hard work and hard travelling followed. Anderson distinguished himself in reconnoitring ahead of the British working parties in wild and rugged country and in completing the determination and marking of difficult sections of the boundary line. In 1860–61 he was given charge of the survey office while the party was in winter quarters at Fort Colvile (Colville, Wash.). In 1862 the British party returned to England where Anderson, who succeeded Wilson as secretary, completed the maps and reports by 1864. After a delay of five years, he accompanied Hawkins to Washington, D.C., for the final joint meeting of the boundary commission, the maps being adopted by both governments on 24 Feb. 1870. In the interval, Anderson served from November 1865 to June 1866 with Wilson under the aegis of the Palestine Exploration Fund, returning from the Holy Land with material for a detailed map of western Palestine. From 19 Nov. 1866 to 30 Nov. 1871 he held the appointment of assistant superintendent of the special schools for telegraphy and photography in the School of Military Engineering in Chatham, where he pioneered in using electricity for military purposes. Meanwhile, a controversy about the latitude of the Hudson’s Bay Company’s Pembina post (West Lynne, Man.) had reopened the question of the unmarked gap in the Canadian-American boundary between the most northwestern point of the Lake of the Woods and the summit of the Rocky Mountains. Hawkins, Wilson, and Anderson were called upon to prepare an estimate of the cost of completing the survey, based on a careful plan of operation. A new joint commission was set up and in June 1872 Anderson was appointed chief astronomer to the British commission under the command of Captain Donald Roderick Cameron, ra. Anderson was the only member of the British party who had served with the earlier commission. 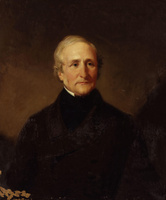 While Cameron and Lieutenant Arthur Clitheroe Ward, re, secretary of the British commission, went first to Washington to concert measures with Archibald Campbell, once more the American commissioner, and then on to Ottawa, Anderson completed the work of organization in England. He was promoted captain on 3 Aug. 1872 and brought out a party of Royal Engineers to join Cameron, arriving at Pembina on 18 Sept. 1872. There a contingent of Canadian government appointees also joined the party, among them George Mercer Dawson*. Cameron and Anderson paid an official visit to Campbell. After that, Anderson was left for the most part to “bear the burden of organization.” It proved difficult in the field to find the starting point for the work of the commission, since the reference monument on the Lake of the Woods erected by the joint commission of 1822–26 could not be found, until the Honourable James McKay* induced Indians to identify its site. Disagreement developed between Cameron and Anderson about the starting point of the survey and also about the method to be adopted in “running the line,” Anderson concurring with the Americans. The British party worked through the winter of 1872–73, despite its severity, because the swamps west of the Lake of the Woods were accessible only when frozen. Anderson, at Pembina, cooperated in determining by telegraph the longitude of Pembina with Lindsay Alexander Russell, assistant surveyor general of Canada, who had gone to the observatory at Chicago for this purpose. Anderson also made careful plans for the short summer seasons of 1873 and 1874 when, assisted by 30 mixed-blood scouts, he carried out advance reconnaissance to find possible transport routes and sites for camps and depots. The work of the British commission, pushed forward by Anderson with unremitting energy, was completed by 30 Aug. 1874, with 860 miles of boundary determined and marked west of Pembina. Anderson found the marker at the crest of the Rocky Mountains to connect with the work of the earlier commission. The most serious difficulties had been lack of water, wood, and grass; transport problems in rugged terrain; and, above all, mosquitoes. The British commission worked in Ottawa on reports and maps from October 1874 to the summer of 1875, with a visit to Washington in January. On his return to London, Anderson completed the work on the record maps of the commission and on 29 May 1876 both commissioners and both chief astronomers signed the maps, reports, and protocol of agreement. Anderson’s services were recognized by the award in 1877 of a cmg. He had been elected a fellow of the Royal Geographical Society in 1876. Transferred on 1 Sept. 1876 to the War Office as assistant inspector of submarine defences, Anderson became inspector in June 1881, using his special knowledge of electricity to develop mines for defensive purposes. Promoted major on 13 Sept. 1879, he was detached for two more special assignments: as British commissioner for the delimitation of the Serbian frontier in 1879, and in July 1880 as a witness before Lord Morley’s War Office committee on the pay and conditions of service for officers of the Royal Artillery and Royal Engineers. Anderson died at his mother’s home, Dalhousie Grange, in Scotland. His memory is perpetuated in the name of Anderson Peak in the Rockies. His zeal, outstanding ability, thoroughness, tact, and humanity gave him a leading role in the difficult and important work of establishing “boundary peace and permanence” for western Canada. Samuel Anderson, “The North-American boundary from the Lake of the Woods to the Rocky Mountains,” Royal Geographical Soc., Journal (London), 46 (1876): 228–62. Beinecke Rare Book and Manuscript Librarale Univ. (New Haven, Conn.), Samuel Anderson letters (uncatalogued western American mss.). PAC, RG 48, 29–32. PRO, FO 5/811, 5/814–15, 5/1466–68, 5/1474–77, 5/1505–6, 5/1532, 5/1666–70, 925/1566 (mfm. at PAC, National Map Coll.). Can., Dept. of the Interior, Certain correspondence of the Foreign Office and of the Hudson’s Bay Company copied from original documents, London, 1898, [comp. O. J. Klotz] (Ottawa, 1899), pts. iii–iv (copy at PAC, MG 30, C13, 7). [Albany] Featherstonhaugh, “Narrative of the operations of the British North American Boundary Commission, 1872–76,” Papers on Subjects Connected with the Duties of the Corps of Royal Engineers (Woolwich, Eng. ), new ser., 23 (1876): 24–69. G.B., Parl., Command paper, 1875, LXXXII, , pp. 51–56, North America, no. 1 (1875): correspondence respecting the determination of the north-western boundary between Canada and the United States; 1876, LXXXII, , pp.357–68, North America, no. 8 (1876): further correspondence respecting the determination of the boundary between Canada and the United States. . . . International Boundary Commission, Joint report upon the survey and demarcation of the boundary between the United States and Canada from the Gulf of Georgia to the northwesternmost point of Lake of the Woods . . . (Washington, 1937), 194–217. Maps of the land boundary between the British possessions in North America and the United States, as established by the Treaty of Washington, 15thJune, 1846, and surveyed and marked under the direction of the Joint Commission appointed to carry into effect the 1st article of the treaty (Southampton, Eng., 1869). [Thomas Millman], “Impressions of the west in the early ’seventies, from the diary of the assistant surgeon of the B.N.A. Boundary Survey, Dr. Thomas Millman . . . ,” Women’s Canadian Hist. Soc. of Toronto, Annual Report and Trans., 26 (1927–28): 17–55. North American Boundary Commission, 1872–1876, Joint maps of the northern boundary of the United States, from the Lake of the Woods to the summit of the Rocky Mountains . . . ([Washington, 1878]); Reports upon the survey of the boundary between the territory of the United States and the possessions of Great Britain from the Lake of the Woods to the summit of the Rocky Mountains . . . (Washington, 1878). Royal .Engineers Journal (Brompton, Eng. ), 11 (1881): 227–29. Royal Geographical Soc., Proc. (London), new ser., 3 (1881): 671. [C. W. Wilson], Mapping the frontier: Charles Wilson’s diary of the survey of the 49th parallel, 1858–1862, while secretary of the British Boundary Commission, ed. G. F. G. Stanley (Toronto, 1970). Marcus Baker, Survey of the northwestern boundary of the United States, 1857–1861 (Washington, 1900). J. E. Parsons, West on the 49th parallel: Red River to the Rockies, 1872–1876 (New York, 1963). Whitworth Porter, History of the Corps of Royal Engineers (2v., London and New York, 1889), II: 255–68. D. W. Thomson, Men and meridians; the history of surveying and mapping in Canada (3v., Ottawa, 1966–69), II: 162–76. Irene M. Spry, “ANDERSON, SAMUEL,” in Dictionary of Canadian Biography, vol. 11, University of Toronto/Université Laval, 2003–, accessed April 24, 2019, http://www.biographi.ca/en/bio/anderson_samuel_11E.html.